The term parachute fly is given to flies in which the hackle is tied round a projection affixed to the top of the hook shank near the eye so that the hackle lies horizontally across the hook which it covers in the manner of an open umbrella. The weight of the hook underneath the circular hackle balances the fly which falls lightly on the water parachute fashion. It is not certain who invented them but an American called William Brush of Detroit applied for an American patent for the idea in 1931 and it was granted in 1934. The patent related to the projection on the hook and not the fly itself. 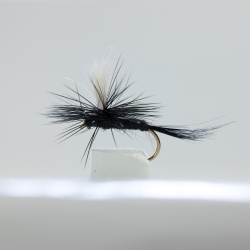 The traditional way of dressing dry flies with upright wings and hackles that make the fly stand high on the water's surface may be very pleasing but it is not necessarily the best design for catching fish in some anglers opinions. 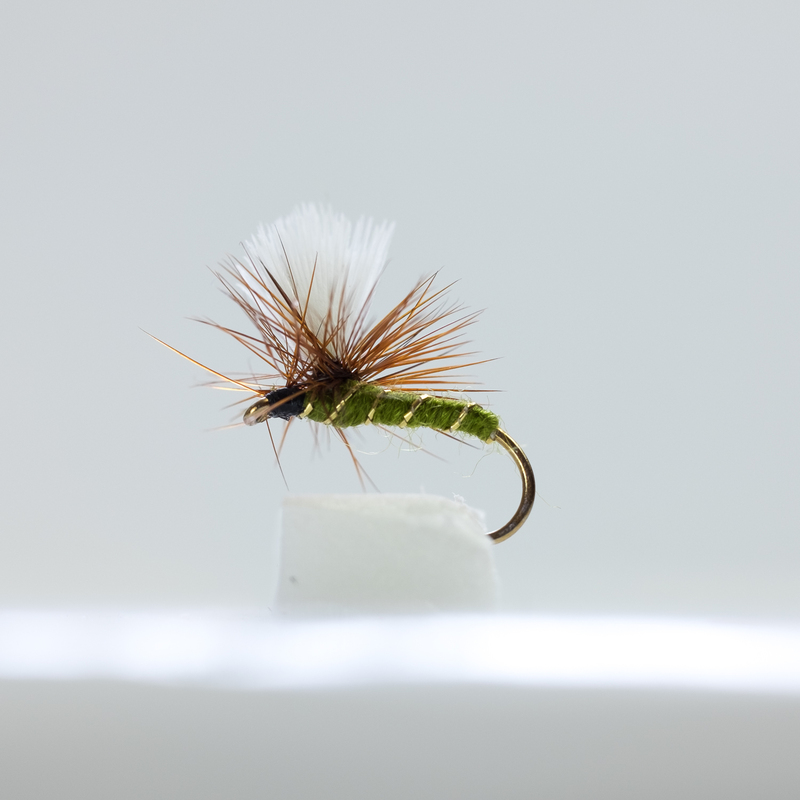 The parachute dry fly style of dressing allows the fly to sit well down in or on the surface film, mimicking either an emerging mayfly dun filling its wings, a spent spinner, stillborn, floating nymph or a crippled drowning fly trapped in the surface film. They can be dramatically more effective at getting takes. Some traditionalist will not use them but I find them very effective and easy to cast correctly.